The songs and narrative’s on LONER reflect my life over the last couple years––I joined Tinder, I got my first apartment and painted it teal, I went to par¬ties, I discussed politics, I had a girlfriend, we traveled the country, we broke up. I learned, for better or worse, how to be a member of the modern world. Turns out the modern world is terrifying. Tired of the bottomless pit of sad songs, I decided to put a spin on my greatest songwriting inspirations––misogyny, unplanned pregnancy, Capitalism, anxiety, loneliness and death––and wrap such depressing subject matter in a sprightly, angsty pop burrito…Because it’s hard being serious all the time and sometimes sad songs just need a cocktail. 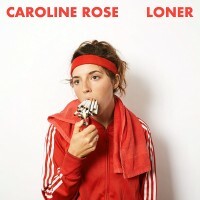 Loner reflects the styles of music I love––pop, folk, punk, electronic, and surf music––all thrown into a blender with a ladle full of cheeky satire. I call it Schizodrift. It sounds like Blondie drunk on mai tais. Loner was co-produced by myself and the wonderful Paul Butler (Deven¬dra Banhart, Michael Kiwanuka, St. Paul & The Broken Bones) and recorded in freezing Northern California, in addition to my parent’s attic and my last apart¬ment. It was mixed by sound guru Andrew Sarlo (Big Thief, Nick Hakim, Show Me The Body) in Brooklyn, NY.